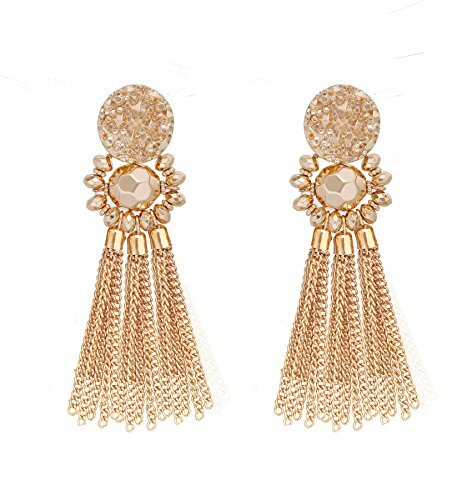 THIS BOHEMAIN TASSEL DROP DANGLE EARRINGS FEATURED DISCOVER SUBTLE DROP EARRINGS AND CHANDELIER DANGLES, EVERYDAY HOOPS AND POLISHED BEADS ,BOHEMIAN STYLE PERFECT FOR EVERYDAY WEAR, MAKE YOU CHARMER AND ELEGANT, BEAUTIFUL AND ATTRACTIVE,ALSO WORKS WELL WITH YOUR DAILY OUTFIT,CAN WEAR IT WITH MANY THINGS GO TO MANY OCCASIONS , WELL MATCH TO DIFFERENT CLOTHING,SUCH AS T-SHIRT, SWEATER, VEST, DRESS AND SO ON, PROVIDE YOU THE MOST CHARMING LOOK AND ATTRACTIVE IN THE CROWD. LOPN, As a famous jewelry brand. Writing history with innovative ideas and elegant design, Purest tradition of manufacturing and elegant cultural heritage, LOPN became a symbol of the art of fashion accessories. 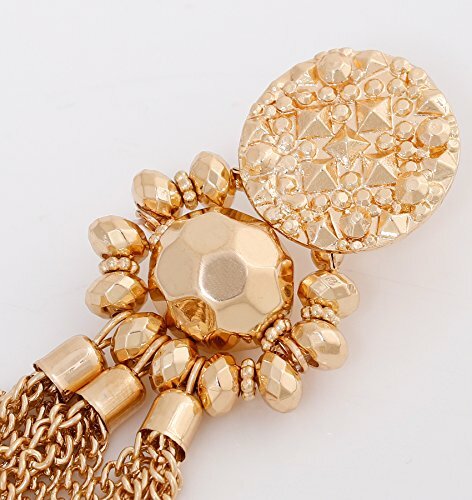 As a shining star of jewelry brand,LOPN are committed to create freedom, elegant, distinctive style for you.LOPN Providing customers with the most meticulous service, many carefully built bracelet, necklace and earrings, representing commitment to be excellent jewelry brand. 3. Please avoid Perfume, Body Lotion, Hairspray or any other Chemical that May Harm the shine of the metal. 5. Please wipe surface clean by soft cloth everyday and put into the box would be better. In case any broken problem happens, contact us without hesitation to solved the problem until satisfaction. LOPN Jewelry Provide 30-day money-back guarantee service for all our jewelry.Customers can return and get refunded for any reason. You have no risk to try! 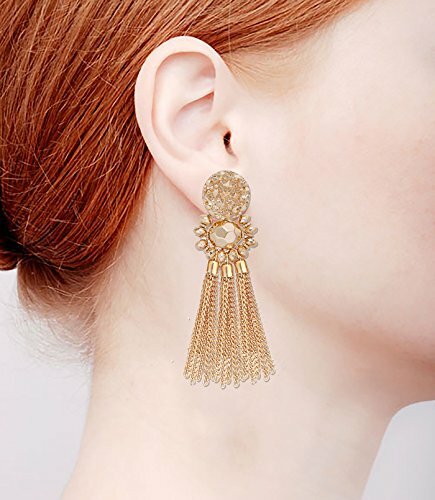 【FASHION DESIGN & POPULAR STYLE】-This Bohemain Tassel Drop Dangle Earrings featured Discover subtle drop earrings and chandelier dangles, everyday hoops and polished beads ,Bohemian style perfect for everyday wear,provide you the most charming look and add a finishing touch to your standout look with this tassel earrings. 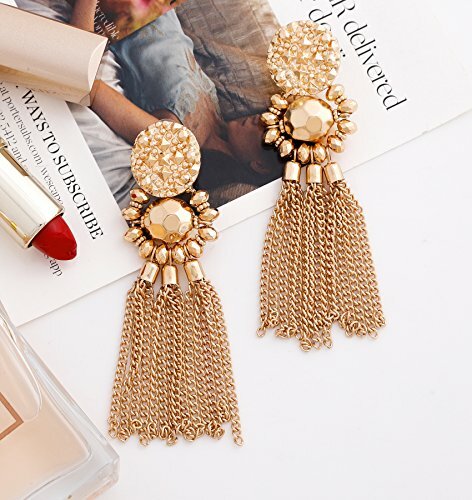 【PERFECT GIFT】-Bohemian Tassel Earrings very popular with women and girls packaged in a velvet bag, a wonderful gift giving mom, wife, girlfriend, best friend, girls, teen girls or a special treat for yourself, as Mother's Day Gift, Christmas present, Birthday Gifts, Anniversary Gifts, Wedding Gifts or other Holiday Gifts. 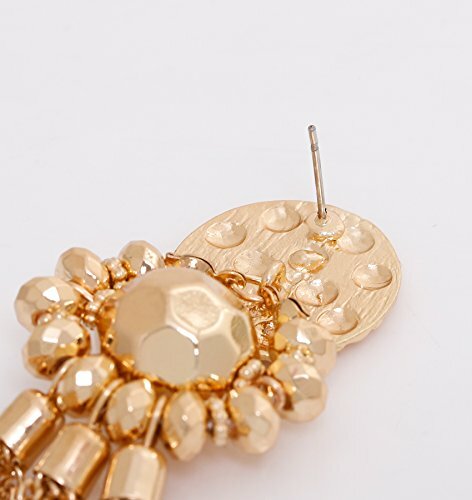 【DURABLE MATERIAL AND COMFORTABLE TO WEAR】- This Statement Earrings 3.5inchs in length,Flexible ;weight:Approx 1.0 oz a pair;lightweight , Easy to Wear and Take off. ,Comfortable to Wear, made of High quality alloy ,durable,each process is 100% handmade, Nickel and lead free, never fade and is not allergy for your skin, not harmful for your health. 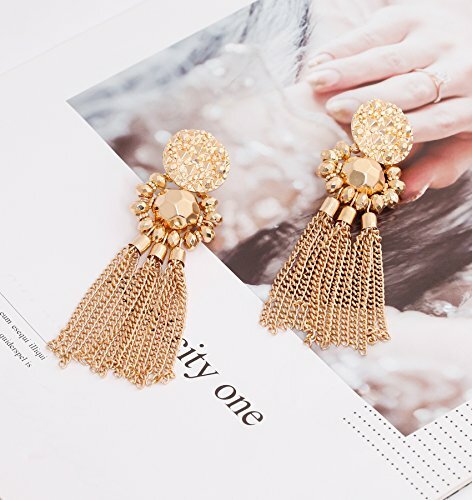 【MATCH TO MOST OCCASIONS】-long Tassel Earrings works well with your daily outfit,Can wear it with many things go to many occasions.Such as Valentine's Day, Christmas' Day, Mother's Day,Thanksgiving Day,Birthday, wedding, party, anniversary, prom and casual days.boho Tassel Earrings ,give you charming look and win more compliments. If you have any questions about this product by LPON, contact us by completing and submitting the form below. If you are looking for a specif part number, please include it with your message.